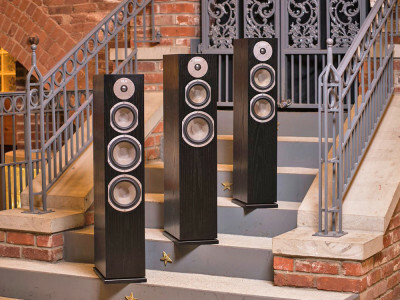 Now, under the ownership and leadership of former Klipsch Global Sales President David P. Kelley, KLH offers music enthusiasts an all-new line of high-performance, value-oriented stereo, home theater and personal audio products. Marking KLH’s first consumer exhibition, AXPONA 2019 (April 12-14) attendees will be able to experience the brand's Kendall tower speakers, Albany bookshelf speakers, Ultimate One headphones and talk in-depth with the team about the exciting rebirth of this legendary brand. 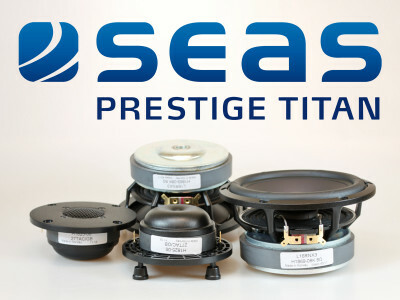 SEAS announced the launch of its new Titan product line in the Prestige Series, implementing FEA-optimized magnet systems with copper caps and rings, and titanium voice coil formers, in combination with matte black aluminum cones and domes, among many other improved features. SEAS' Prestige series offers a large array of sizes and diaphragm materials to perfectly fit the exacting requirements of both the OEM and distribution markets. The new Prestige Titan series is a long-awaited refreshment of this product line. In this Test Bench, I characterized two new 28 mm dome tweeters from Dayton Audio — the RST28A-4 and the RST28F-4 from the Dayton Reference Series. Both are similar tweeters that share pretty much the same platform with the primary difference being the RST28A-4 uses an 30 mm aluminum dome and the RST28F-4 has a 30 mm coated silk dome. This article was originally published in Voice Coil, September 2018. Essential Reading in Voice Coil September 2018 Before Heading Off to CEDIA! 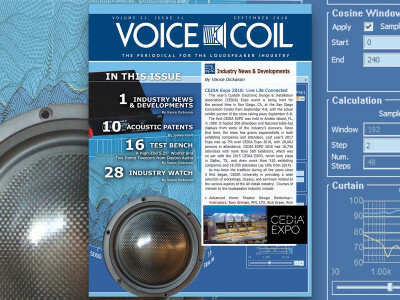 Voice Coil September 2018 edition is now available and features all the essential information about this year’s CEDIA Expo event. 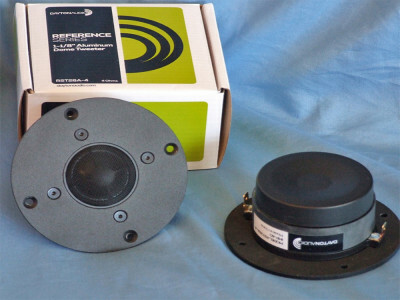 James Croft reviews a Harman patent for a multi-coil transducer approach to improve the cooling structure of loudspeakers, while Vance Dickason characterizes the ambitious new Dayton Audio Epique E160CF-8 midbass driver and two new 28 mm dome tweeters also from Dayton Audio — the RST28A-4 and the RST28F-4. Now available for download or in print.